Reading curator and writer Robert Cook in melancholic mood musing on the passing of the once bright cyborg future, triggered my own musing. At a certain moment this cyborg transformation seemed inevitable, secure in our sleek, impenetrable skins we were to be hybrid, mutable and invincible. Hardware to the core. Amongst the beautiful but resolutely soft and human objects of Coded Cloth, it’s apparent that we’ve abandoned this glossy skin for ones pervious and porous. Recognising our permeable human skins, cloth and clothing, which has always been intimately coded with social meaning continues to offer itself as the interface, the second skin between body and world. Flexible and adaptable, these are skins for weaving code into, transmitting, embedding and wiring. And so the cyborg was stripped down, through the development of what started as installation art, game theory, design, computing, engineering, textile work and science of every description into wearable computing, locative media, bio art, cyborg tech, bio tech, portable platforms and social networking, dispersed into tags, locators, nodes, pliable, conformable to our bodies and brushing up against our skin. Coming out of ANAT’s reSkin wearable computing lab, Coded Cloth shows diverse objects that, aside from their material base initially seem unconnected. There’s few embedded devices here and the connectivity is unwired. Plunging into the internet after the show, it appears more accurately as a sampler of the huge web of intersecting transdisciplinary fields of enquiry around bio art, wearable computing, intelligent textiles and so on and on. 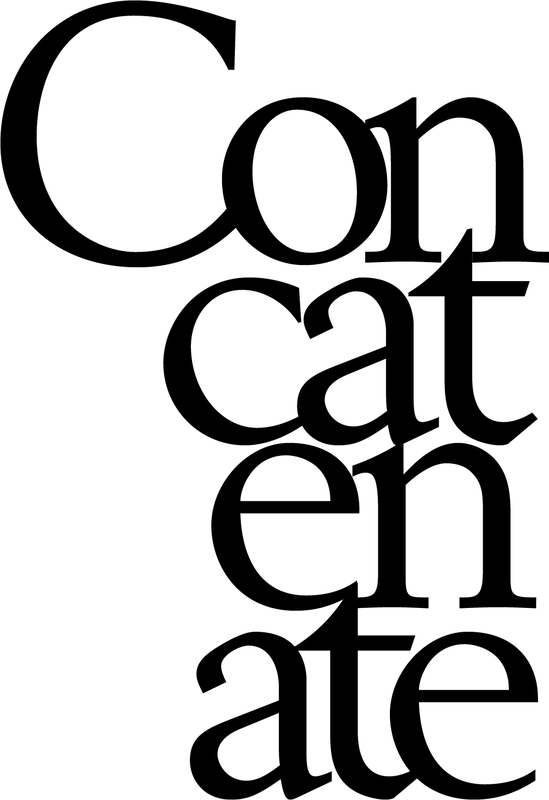 What these objects share is their construction of operational logics and particular ways of use that extend beyond the interaction of individual and object. 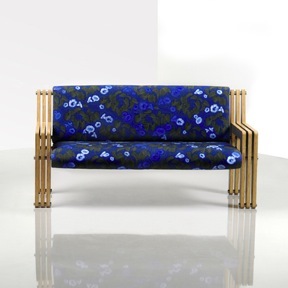 Elliat Rich’s Yala Sofa (2008) is a sofa of simple plywood forms, with the upholstery richly printed with Yala flowers in thermo reactive ink, the Yala flowers are invisible until the heat of a body makes them bloom. Gathering the Yala, a type of sweet potato, is a communal event for the Pintupi people and symbolises the connections between people coming together for an action as simple as a cup of tea. Even without this knowledge, the flowers blossoming in the body’s heat is a trace of habitation and a small event. 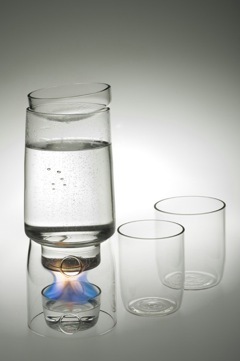 Rich creates objects and spaces round which events between people can happen and practices are sustained, like her Urban Billy(2006) a self contained glass billy that makes a tea event possible anywhere. Using these objects focuses attention on the spaces and connections created in these moments. They are, in their creation of memory maps and ephemeral traces a type of locative media themselves. 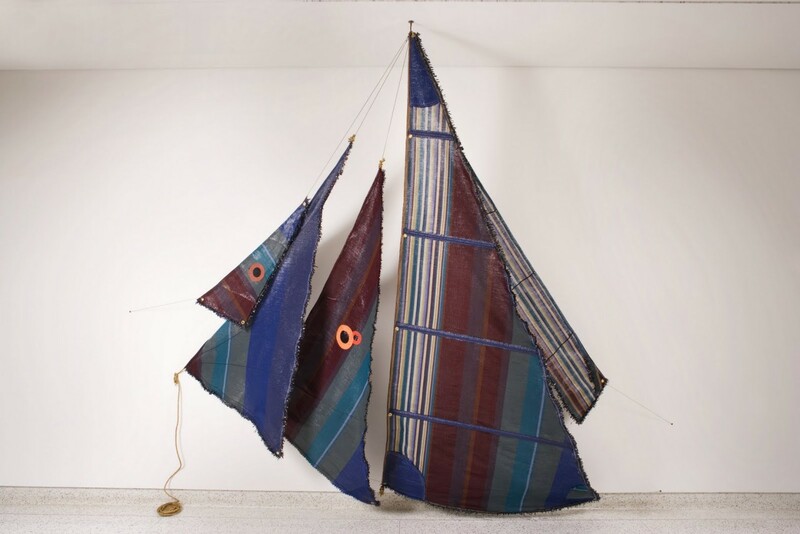 Alyce Santoro’s Sonic Sails (The Tell-Tail Thankgas) (2008) are coded at many levels, woven of 50% cassette tape, an almost obsolete technology is integrated into the very fabric and the sails are doubly coded through the personal significance of the sound collage made for the tape. The sails lift and shimmer and are of course playable, the collage of samples when played with the tape head decoder produces a densely layered tapestry of sounds. In the making of the Sonic Fabric, Santoro mobilises whole networks of people keeping skills and tools alive, from the rescue of a specialised loom to cloth production by Tibetan women. Like Rich’s practice sustainability here goes beyond material choice and connectivity is achieved via eloquent objects. High Tea with Mrs Woo is a cult Newcastle clothing label with a distinct, almost Edwardian fashion aesthetic. Here they’ve produced Hidden (2007), a modified coat dress for the intrepid female, equipped with invisible pocket warmers enabling warm and unencumbered travel. There’s a touch of steam punk about Hidden, both in the style and in the love of design, innovation and over engineering. Unlike other wearable computing where integrated devices embed the wearer into the network, Hidden is a very self contained, private kind of wearable connecting only to the body of the wearer. Creating a closed loop, Hidden hints at the hermetic world of the traveller and historical ideas of the properly feminine, stitched down and hidden from view. 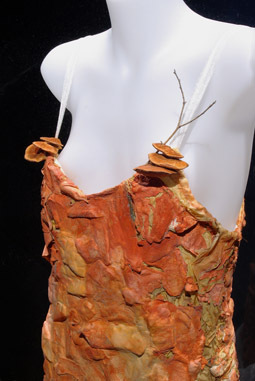 Donna Franklin’s Fibre Reactive (2004-2008) is a simple organza evening dress that provides the base for a tactile skin grown out of the orange bracket fungus. Its unusual elegance overlies a subtle and sophisticated examination of the bio technological manipulation of living things. Wearing it is a complex act that places the wearer in the position of guardian of this fragile living thing and creates a relationship of equivalence between both lives questioning, through our relationship with clothing, the commodification and disposability with which we treat nature. All of the works in Coded Cloth mine rich fields of enquiry that are fluid, overlapping and driven by experimentation. Clearly, in the video clip of the ReSkin lab, the participants were having serious fun, yet that sense of productive play hasn’t translated here largely due to the traditional installation. Located in a dimmed room with spot lit objects on plinths and polite “please do not sit” signs, Coded Cloth presents as very serious exhibition indeed. 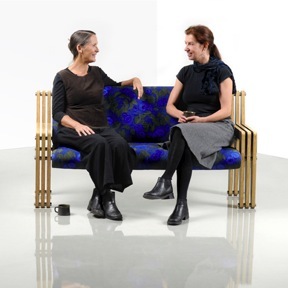 Given that this show isn’t really about the objects but of their potential in connection with and activation by the body, interactivity is very limited being one square each of the Sonic and Yala fabrics. A less reverential presentation could have made for a more engaging experience with what is fascinating work. Academic Saskia Sassen speaking at Networked Publics, on why technology hasn’t inevitably democratised the blogosphere argues that it’s not the internal logic of the technology that matters but the social logic of the users. That, in fact social logic changes and subverts the inbuilt logic of the technology. It’s not the wires or the technology but the unwired invisible logic embedded in our brains that counts. Understanding this, harnessing and connecting internal and external worlds through our second skin, the artists of Coded Cloth do it all seamlessly.